We have just adored our Winter Wedding's this season! We have been snowed under with so many lovely couples getting hitched over the last few months and we have loved every one! Winter is such a fabulous time of year to tie the knot. We love the crisp, festive weather and the colour schemes are to die for. We have also loved the rustic pine cones, fern and firs. You have all had such fantastic ideas and we have really enjoyed helping you create your big day with so many different, innovative ideas and gorgeous fabrics and colours. So whats hot for 2019? Grey all tones (50 Shades in fact) of grey are really going to be big this year. We are also using sumptuous velvets in delicious cranberry, sequin cloths in rose gold, green and blush pink. Things are also going back to basics a little with many brides this year choosing simple, elegant white for fresh, traditional and timeless beauty. Copper and metallics in mirrors, frames, votives and accessories which make muted tones of dusty blue and sage green come alive! We cant wait to show you our weddings this year so watch this space! Some of you may already know, back in November WE WON ANOTHER AWARD! Yup thats right Fundoo are winners of the covered Venue stylist of Hampshire 2018! We are over the moon and feel so lucky to have been nominated let alone taking the win! 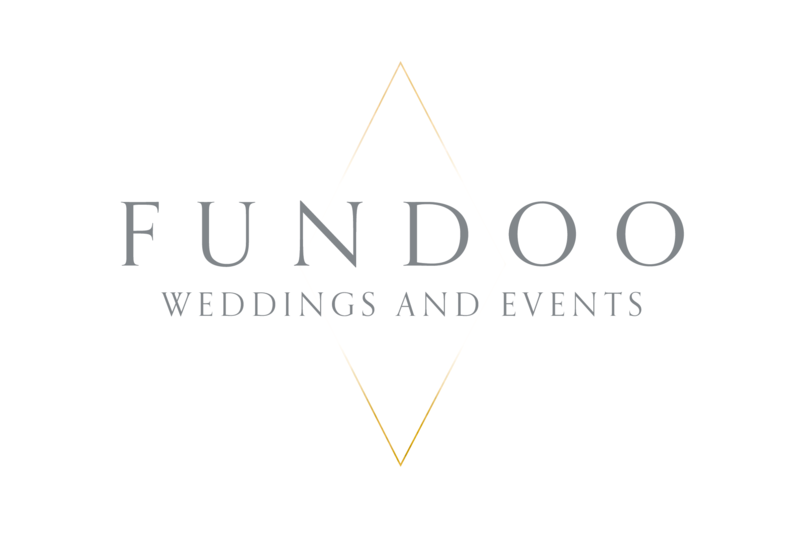 We couldn't do (and love) what we do without you, our couples so we thank you for choosing Fundoo Weddings & Events. If you're getting married and you need some help or inspiration, lets get together in our Fundoo Barn where you can see what we do in real life! Just get in touch.